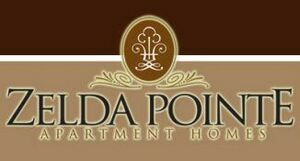 Zelda Pointe Apartments for Rent in Montgomery AL offers all the amenities, features and services you need, with all the comforts and convenience you deserve. We welcome 2 pets per apartment home. We have a weight restriction of 35lbs or smaller. There is a one-time pet fee of $300. Breed restrictions apply. Please call our leasing office for complete pet policy information. Parking Comment: Please call for parking details.